About - Santa Fe Party Rentals - Weddings, Events, Corporate & More! Santa Fe Party Rentals has been servicing Santa Fe parties for over nineteen years. All of Santa Fe’s Party needs can be found at Santa Fe Party Rentals. Catering to everyone, from Wedding Receptions to Legislature and Film Productions. 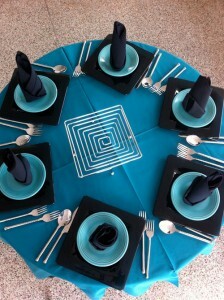 Make Santa Fe Party Rentals a part of your Parties!